PGE Cinema * Saturday (August 8, 2009) * 9:30 a.m.
PGE Cinema * Monday (August 3, 2009) * 7:30 p.m.
La rabbia di Pasolini / Pasolini's Anger, Italy (IT) 2008, b&w, 83 min. Reconstruction (or rather simulation of reconstruction) of a part of Pasolini’s work titled “The Rage”. 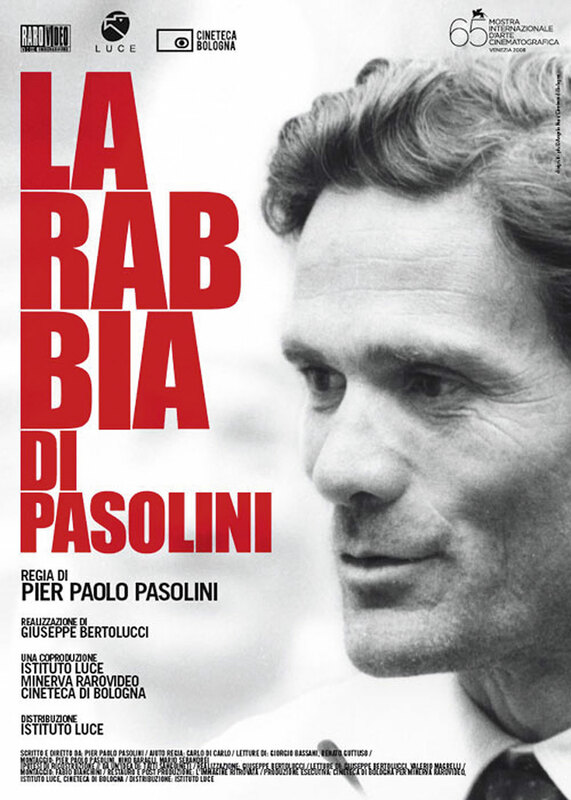 In the first place Pasolini intended to be one and only director of “The Rage”. However the producer, during his work on the film, decided to hand the second part of the movie over to Giobannino Guereschieci. Following this decision, Pasolini re-signed from the part of already shot material. In “The Pasolini’s Rage” Bertolucci tries to recover that part of the movie from which Pasolini resigned. This makes it not only an attempt to follow the great director’s footsteps but it is a tribute for this exceptional artist. Presented at the Venice Film Festival 2008. He was famous as a poet, playwright, painter, essayist, journalist, director, scandals’ maker and communist. He was one of the most controversial European movie artists. He was murdered in the night of 2nd November 1975. Mystery of his death was never solved. Director, screenwriter. Producer of TV movies and documentaries.